When the New Zealand government announced on Thursday that it would ban military-style semiautomatic weapons and high-capacity ammunition magazines, a critical element of the new policy was a plan for the government to buy back the newly banned weapons from private owners. 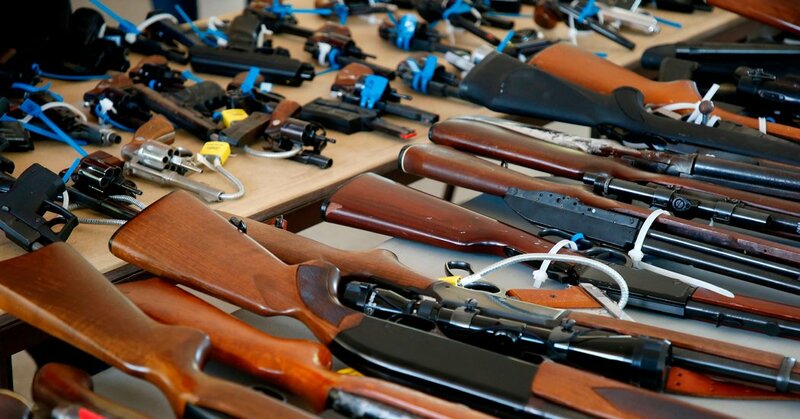 Gun buyback programs have often been mounted in American cities large and small that wanted to reduce gun violence and crime. Washington State is running one now, specifically for bump stocks — accessory devices that make ordinary guns capable of very rapid fire. A federal ban on bump stocks takes effect next Tuesday, and the Washington program brought in more than than 500 of them in its first two days. But there are up to 500,000 bump stocks in the United States, and therein lies the problem. Buybacks are popular but have not been very effective. Buyback programs are a relatively easy step for states and localities to try, since they are voluntary and generally require no legislation. But taking a few hundred or even a few thousand weapons out of circulation barely dents the national nonmilitary supply of 300 million firearms — nearly one for every citizen — and gun manufacturers have been adding about eight million more a year, according to the Bureau of Alcohol, Tobacco, Firearms and Explosives. Moreover, the guns that are turned in tend to be the least likely ones to be used in violent crime. And there is little or nothing to stop guns from flowing back into a community from out of town or out of state. Mr. Vernick said the story may be different with buybacks aimed at very specific items like bump stocks, which have not yet been widely studied. Though removing a gun from a household can make that household safer, studies by Johns Hopkins researchers and others have found that buybacks have little impact on gun violence rates in the community as a whole. Buybacks can be vulnerable to gaming. When the bounty offered for each weapon is low, few people take part. But raising it to attract more guns can have unintended consequences. Baltimore, one of the first American cities to offer a buyback in 1974, tried another in December, offering $25 to any city resident who brought in a high-capacity magazine. But observers quickly spotted that many high-capacity magazines could be bought online for $9 to $15, and then turned them at a tidy profit. Oakland, Calif., had a similar problem with a buyback program in 2008. Buybacks combined with bans and other measures have worked elsewhere. After 35 people died in a mass shooting in Australia in 1996, the country undertook a sweeping nationwide program with buybacks, registration requirements and outright bans. The government spent 500 million Australian dollars ($395 million) to collect and destroy about 640,000 guns — roughly one-third of all the guns in the country. Since then, rates of gun violence and gun suicides have tumbled, and there have been no mass shootings in the country. Prime Minister Jacinda Ardern of New Zealand pointed to Australia’s success as an inspiration for her plans. But that is harder to pull off in the United States. When Congress enacted a federal ban on assault weapons and large-capacity magazines in 1994, there was no national, federally financed gun buyback program like Australia’s, though some local governments held buybacks. The ban was riddled with loopholes, most notably exempting weapons manufactured before the law took effect, so it left more than 1.5 million assault weapons in legal circulation, and owners had little incentive to turn them in. The ban expired after 10 years, and a study afterward found that it had only a limited impact on gun crime. The Second Amendment, which enshrines the right to bear arms, and federal laws like the Firearms Owners’ Protection Act, passed in 1986, make it difficult to impose tighter bans or adopt other nationwide measures like mandatory registration in the United States. And the gun industry and the National Rifle Association use their considerable political influence to fight any policy that would reduce or restrict gun ownership. Joaquin "El Chapo" Guzman trial underway in N.Y.